SINGAPOREANS are underinsured and poorly prepared for retirement yet many of them are being led astray by poor financial advice that leaves them worse off. The solution, according to Monetary Authority of Singapore official Merlyn Ee yesterday, lies in financial institutions raising their game to help people plan for their golden years. 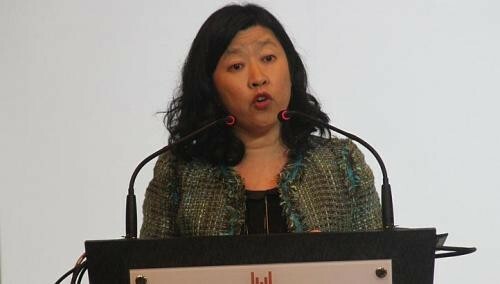 Ms Ee, who is executive director and head of the capital markets intermediaries department, told a conference: "We need to do more to help Singaporeans better prepare for life's unexpected events and to set aside adequate savings for their golden years." Ms Ee cited an HSBC study from last year, which found that 44 per cent of Singaporeans approaching retirement think that they are not adequately prepared while 12 per cent had not even started preparations. She urged licensed financial advisory firms to step in and help improve this worrying situation. Ms Ee said Singaporeans are also not always getting quality advice or recommended suitable products, and added that the MAS continues to get complaints about inappropriate advice. "Many representatives still focus on pushing products and closing the next deal," said Ms Ee, who was speaking at the Association of Financial Advisers (Singapore) or Afas congress, held at the Grand Copthorne Waterfront Hotel. Ms Ee said she hopes the industry will become one where financial advisers are viewed as professionals, "just like lawyers, engineers and accountants, with their own code of conduct and high standards of practice". There was a mixed reaction to MAS' moves to raise industry standards, a campaign that has been underway for some time. Afas' outgoing president Augustine Lee raised concerns over some of the recommendations made in January by the Financial Advisory Industry Review (Fair) panel, which was set up to recommend ways to raise industry standards. One proposal was for an agent's first-year commission to be paid out over three years to six years. Mr Lee said: "This will not affect the total distribution cost as you will get the same amount of commission, just over six years but it poses a challenge to financial advisers in our recruitment efforts." He said young people may not be drawn to the industry while the higher expenses that come with complying with the proposed new regulations could deter businesses from starting up. Another industry concern centres on the "balanced scorecard" for financial advisers' pay, which involves assessing financial advisers on other non-sales criteria, apart from mere sales figures. The proposed framework also says representatives who fail to do a good job in advising should have a percentage of their commission deducted. Mr Lee said Afas' will continue discussions with MAS "because we are here to upgrade our profession and serve consumers, and the balanced scorecard will not hinder our growth". New Afas president Vincent Ee, whose term began yesterday was more optimistic about the Fair panel's reforms, telling the congress that the proposed changes would be manageable. "The first-year commission is going to be less, so the first adjustment will be cash and liquidity management. Companies and individual representatives who mainly do life insurance, especially regular premium life insurance, will have to do more adjustment," he said. Mr Ee said a recent study showed that a new company that focuses only on regular premium life insurance would need to increase its financial resources by 25 per cent to 30 per cent, as a proposed change in commission payout over the years will cause a firm's annual revenue to drop in the first two years. "It is not as severe as we thought it would be, and many firms have other types of businesses too, such as investments, hence the impact could be less than that." Urging the industry to accept the changes to come, Mr Ee said: "We should not be overly concerned about the Fair reforms. Let's embrace it and make a better decade of growth for the financial advisory industry."